Website accessibility is an issue that has both legal and practical implications for your practice. As a legal issue, all medical practices have responsibilities related to the ADA (Americans with Disabilities Act). Also, any practice that accepts Medicare or Medicaid must abide by Section 508 of The Rehabilitation Act, which as of January 18, 2018, requires compliance with the Web Content Accessibility Guidelines (WCAG) 2.0, Level AA. I addressed some of the legal issues related website ADA compliance in a past post. In this post, I will focus on other ways in which your medical practice will benefit from accessible website design. Approximately 20% of the U.S. population has some sort of disability that influences how they interact with computers. In order to reach these patients, your site needs to consider people who have full or partial audio or visual impairment, and those who can not use a mouse and therefore depend on their keyboard or voice to navigate the web. By providing access to all users, you will gain a step up on your competitors who do not, or avoid falling behind those who have already considered accessibility. You’ll also stand to gain goodwill due to the social responsibility that you express through these practices. SEO (search engine optimization) – search engines read your content in a similar way to the software that blind users use, so by making your content accessible, you are also making it easier to index and rank near the top of search results. Usability – accessibility leads to a better experience for all users. 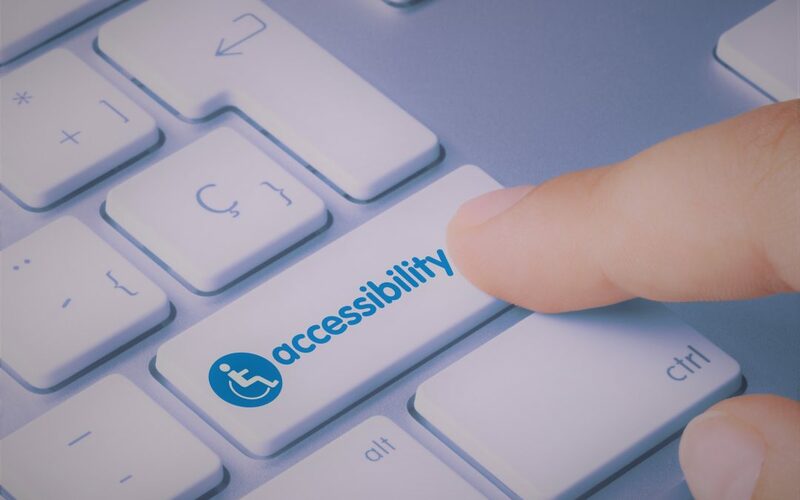 From eliminating general usability issues to making the site easier to use in situations ranging from bright daylight to low bandwidth, an accessible site can benefit any visitor at any time. Mobile web design – all of the accessibility issues discussed above relate at least as much to mobile devices as they do to desktop or laptop computers. Luckily, best practices for accessible websites design and mobile website design overlap extensively, and learning about one helps you learn and implement the other.